École Ardévaz-SLS is located in the city centre of Sion, in the Swiss Alps. We have been proudly teaching French to international students since 1979. We offer a wide range of courses for those who want to study the French language for professional or personal use. We believe in offering personalized education programs to our students, which is why we only offer a limited number of students per class. 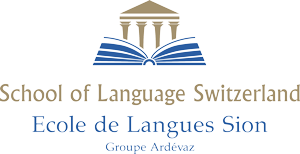 École Ardévaz-SLS has a proven record of success, with many of our students returning to further their studies and develop their French language skills. Read on to find out why we believe our French language school stands out among the others.